Paul Walker was an American actor and will forever be remembered for the Fast and Furious Franchise. Walker died tragically from an auto crash on November 30, 2013, at the age of 40. At the time of his death, his net worth was estimated at $25 million. Paul William Walker IV was born on September 12, 1973, in Glendale, California. He was raised as a member of The Church of Jesus Christ of Latter-day Saints in Sunland, Los Angeles. His mother was a fashion model while his father was a fighting champ who was also a sewer contractor. As a toddler, Paul was already following in his mother’s footsteps appearing in a TV commercial for Pampers. He continued his modelling career into his teens and at the age of 12, he began appearing in TV shows such as “Highway to Heaven”, and “Throb”. While building up his filmography, Paul remained active in school. He graduated from Sun Valley’s Village Christian School in 1991. He also made an effort to further his education, attending various community colleges in Southern California where he majored in Marine Biology. Fast forward to 1998, Walker landed his first lead role in the comedy film “Meet the Deedles.” Next up was a supporting role in “Pleasantville” (1998) alongside Reese Witherspoon. Though it was a box office bomb, Paul’s acting was critically acclaimed. He went on to star in “Varsity Blues” (1999), “She’s All That” (1999), and “The Skulls” (2000). She’s All That proved to be the most successful of all, grossing over $103 million against a $10 million budget. Before his death, Paul Walker did not have a wife and he has never married. Nevertheless, he had a daughter with his former girlfriend, Rebecca Soteros. She was born on November 4, 1998, in Northern California and named Meadow Rain Walker. Raised by her mother after the relationship between the couple didn’t materialize, Meadow had a very good relationship with her father whom she later moved to Los Angeles to be with. At his death, he had her as his sole heir even though she was only 15. Considering that she was still a minor, there was a heated legal battle on who was to have her custody. The battle was between Rain’s mother and her grandmother, Cheryl Walker. Owing to the fact that the fight was triggered in the first place because of the drunkenness that was associated to Meadow’s mother, the agreement reached between the two fighting for the custody is that the mother would seek for rehabilitation and then she could have the full custody of her daughter. Apart from his daughter, ex-girlfriend and mother, Paul Walker also left other members of his family behind, including his father, Paul Walker III and his brother, Cody Walker who is also an actor and was taken to complete Furious 7 from where his brother stopped. Other siblings Walker had are Ashlie Walker, Caleb Walker, and Amie Walker. His girlfriend at the time was Jasmine Pilchard Gosnell. His big break, the dream of every budding actor came in 2001 when he was selected to star alongside Vin Diesel in action thriller movie “The Fast And The Furious”. The movie became a massive box office hit, gaining the lead actors including Paul international recognition. It grossed over $207 million against a $38 million budget earning Paul $1 million. The impressive success of the movie led to the development of a franchise. The first sequel “2 Fast 2 Furious” (2003) was released to an even bigger success. Walker reportedly received $7 million. In between his most popular role of Brian O’Conner in the action film series, Walker was also active in other projects most of which were successful. He earned $3 million for his role in “Timeline” (2003). His other noteworthy action films include “Into the Blue” (2005), “Running Scared” (2006), “Clint Eastwood’s” “Flags of Our Fathers” (2006) and “Takers” (2010). At the peak of his stardom in 2011, the long-time model became the face of the fragrance brand Davidoff Cool Water for Men. In all, it is believed that Paul was worth $25 million when he died. Walker was inside a Porsche Carrera GT which was driven by his long-time friend and business partner pro-am racer, Roger Rodas when the car crashed killing both. They were both reportedly returning from an event for their Reach Out Worldwide charity for victims of Typhoon Haiyan. 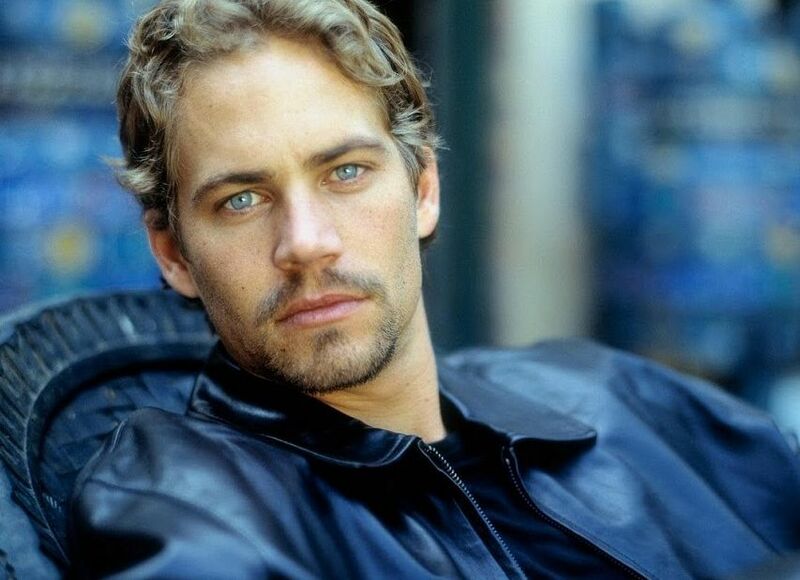 Walker had begun the filming of “Furious 7” when he died. His role was completed using his brothers Caleb and Cody as stand-ins and body doubles. As a result of his untimely death, the filmmakers rescheduled the release date to April 3rd, 2015. Furious 7 became the highest grossing movie of the franchise with over $1.5 billion earned worldwide. It became the 3rd highest grossing movie of 2015 and the 6th all time. Walker’s teenage daughter Meadow Walker filed and lost a lawsuit against Porsche blaming the car makers for her father’s death while stating that the car’s design defects, seat belt placement and instability were contributing factors to his death. Rodas’ widow Kristine Rodas also filed and lost the same lawsuit. While Mrs Rodas defended her claim by stating how competent a driver her husband was, Porsche said his professionalism cannot rule out the possibility of human error. It was also discovered that Rodas’ driving, as well as the vehicle’s over-used tyres, were the primary reasons for the accident. Walker’s daughter later discovered that her dad was in a deal with Universal films to make three more Fast and Furious movies. Per estimates, these films would have increased Walker’s net worth to $80 million. As a result of the magnitude of his lost earnings, Meadow filed and won a lawsuit against Rodas’ estate receiving $10.1 million settlement. Per reports, $7 million was placed in a trust for her while Attorney Jeff Milam received $3 million. In Forbes’ 2015 list of highest earning dead celebrities, Walker came 9th with earnings of $10.5 million.